We hope you enjoy your stay here. Below you can find some information about Jewish Downtown. If you have any questions please feel free to contact us at: 410-605-0505 or click here. The Information below is current as of 09/01/2016. We depend on donations from individuals such as yourself to support our Jewish hospitality. 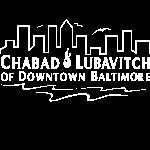 Click here to donate online, or mail your contribution to: Chabad of Downtown, 407 S. High Street, Baltimore, MD 21202. Thank you for your support! Please be advised that there is No Eruv in the Downtown area. 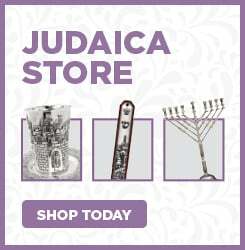 Visiting Baltimore for Shabbat? Join Chabad for a Shabbat Dinner or Lunch, replete with scrumptious food, inspirational song, torah insights, and camaraderie. Chabad is your home away from home. RSVP required. Please contact us at 410-605-0505 or click here. Suggested donation: $36 per meal. Chabad of Downtown is not a Kosher supervising agency, please refer to each establishments Hechsher for their Kashrut standards. Establishments and items may or may not be Chalav Yisrael. Located in the downtown business district a few blocks north of the Inner Harbor and Convention Center. Fast. Fresh. Healthy. Lunch. Located in the historic neighborhood of Fells Point. Serving delicious local coffees - fair trade and organic, too! Goldberg's bagels, rated the best tasting bagel in Baltimore! Displaying artwork by local artisans, free WiFi, couches and tables - a great place to come and kick back and relax. Located at the Johns Hopkins Medical Campus. Serving both café and deli menus, including delicious bagels, salads, sandwiches, wraps, and more. Hours: M-T: 8:30am-8:00pm, Fri: 8:30am-2:00pm. Closed on Saturday, Sunday, Jewish & University holidays. Can't find what you need downtown? The center of Jewish life in Baltimore is just minutes away. Click Here for a partial list of greater Baltimore kosher eateries and stores. Chabad's Shul meets for Prayer, Study and Kiddush monthly and on special occasions. Please contact us by calling: 410-605-0505 or clicking here for information on our upcoming minyanim, times and places. Or see our calendar of events by clicking here. Baltimore’s oldest continuously used synagogue (built in 1876), located in the historic East Baltimore Jewish neighborhood of Jonestown on famous Corn Beef Lane (Lombard St) and just a few minutes’ walk from the Inner Harbor and nearby hotels. Times: Friday Evening: Varies, please inquire. Shabbat Morning: 9:30am. Sunday Morning: 830am. Holidays: please inquire. Go down the stairs immediately to the right of the front door. The Minyan is located at the end of the Lower Lobby in the room on your far left. Times: M-T: 1:00pm during standard time, 1:45pm during daylight savings time. Minyan does not meet during Jewish and legal holidays. Times are subject to change. Times: Monday-Friday, 12:50pm during standard time, 1:50pm during daylight savings time. Minyan does not meet during many Jewish and legal holidays. Times are subject to change. Address: 600 North Wolfe Street, Baltimore, MD 21287 Blalock Building in the Jewish Hospitality Suite. Times: M-T 1:10pm during standard time, 2:10pm during daylight savings time. Minyan does not meet during many Jewish and legal holidays. Times are subject to change. Click Here for a partial list of greater Baltimore Shuls and minyanim. The Jewish Museum of Maryland, America’s leading museum of regional Jewish history, culture and community. Visitors can uncover the roots of Jewish history in our landmark historic sites – the Lloyd Street Synagogue, built in 1845, now the nation’s third oldest surviving synagogue and home to Americas oldest Mikvah and a century old Matzah bakery and the B’nai Israel Synagogue, built in 1876 and still home to a vibrant congregation. The Museum Campus includes three exhibition galleries featuring fascinating and diverse exhibitions that explore in depth, the Jewish American experience.